Prestige Water Cooler Brisbane Range (Bench Top, Floor Standing and Stainless Steel). We offer a comprehensive range of water coolers that are suitable for many needs. Check out our range of water coolers here! Prestige Water Coolers Brisbane has a comprehensive range of great looking, high quality water coolers. All models will come with our 7-stage filtration bottle. To read what this bottle does please find out here: filtration bottle from water coolers Brisbane. 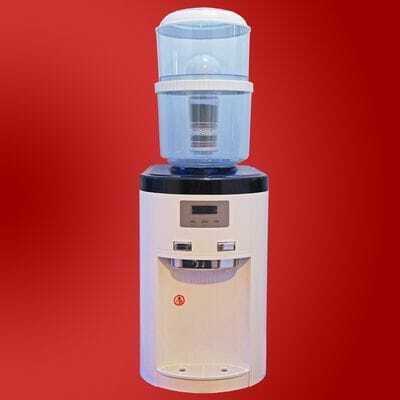 If you are looking for a water dispenser Brisbane for your home or office, we can supply with the right model. All models will come with a filter bottle to filter and purify your tap water. Also very important minerals are added back to the water for better health and greater taste. There are 7 differed filter stages in our filter cartridge. Every stage will remove or add some to the water. It is one of the most advanced filter system available in the market today. All our customers are impressed and pleased with the taste. Tap water can have a great taste, you just have to filter it and add minerals back to it. By owning a Prestige Water Cooler Brisbane filtration system, you will make very nice tasting drinking water from your tap without having to pay for it. You can refill the bottle when it is nearly empty, as often as needed. 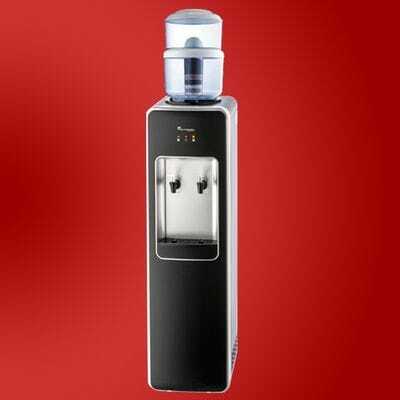 So why not order one of our water cooler systems and start drinking great tasting water. Safe money by not having to pay for your drinking water. The taste is awesome! You will notice that you, your family or staff will drink more water, and will keep you hydrated. If you drink not enough water your body will dehydrate and you get tired. Most of the time this will happen towards the end of the day. You need to drink more water to avoid dehydration. We all know that if the water does not taste good, you drink less. So, if you own a water cooler from Prestige Water, the taste is great, you drink more water, you will keep hydrated and less tired. The Bench Top water cooler with filtration bottle is only $ 390. Sometimes we have a special so give us a call and find out what we can do for you. The filter cartridge needs to be replaced every 6, 9 or 12 months, all depending on the usage. For Home with only 2 people we recommend to change the filter every 12 months. If there are 3-6 people in your family we advise to change the filter every 9 months. A business with more than 2 people the filter needs to be replaced every 6 months. The cost for a filter change is $60. This includes the delivery and GST. It you purchase 2 filters, you only pay $40 for the second filter. Thanks for visiting our website. We hope to hear from you soon. For centuries in Brisbane and Australia wide we have been drinking water that was available from the tap, and we do not know exactly what was in it. Drink great tasting water from a water cooler from Prestige Water Coolers Brisbane. There is no way telling what chemicals you are bringing into your system. If you are serious about your health, you need to filter your tap water before drinking. Better health with Prestige Water. Why not have the best, our 7-stage filtration. Find out here what our filter is doing: Water Filtration Brisbane. Do not drink whatever water is available, filter your drinking water first! Filtered water coolers Brisbane for drinking and also for the preparation of foods. Only YOU decide to drink water straight from the tap or to filter it first before drinking. After all it is your life and your families health too. How important is drinking water? Drinking clean water without the present of all the chemicals, toxins and inorganic minerals. Ideal is drinking 8 - 10 glasses each day to maintain a good health. Why not give it a try now. Drinking lost of water. Lemon juice supports the immune system and enhances the body to absorb iron and more nutrients. Weight loss. Lemons contain a soluble fiber. Water weight loss diets - Do they work? If you into healthy living, please check out our website. You will find a lot of great ideas how to improve your health. Why not check out our blogs and articles and make a new start to feel better. We get a lot of positive response. To install a water cooler in your office or home will result in a higher consumption of drinking water. It is healthy to drink more water and research has shown that most people are not drinking enough water. The average person should drink a minimum of 8 glasses of clean water each day to hydrate your body. 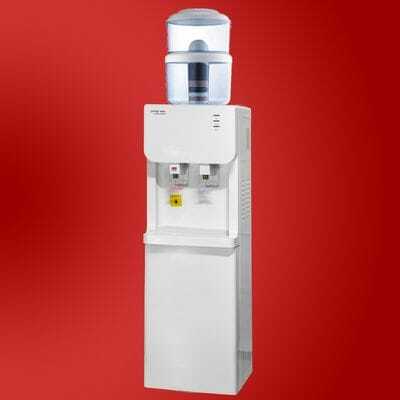 If you own a Prestige Water Cooler Brisbane Benchtop of Floor Standing model the whole family or your staff will drink more water because it is easy to use. Some companies added a drinking water supply to their coffee machines. A cold water tap added to your coffee machine will result in drinking more coffee instead of just water. What you drink less on water you drink more in coffee. The coffee machine suppliers know this and most of the time you will get the cold water tap added for free to the coffee machine. Try to avoid a cold water tap next to your coffee maker to keep the coffee consumption down. Most offices, hospitals, schools and other will have a a facility to offer their customers a cold drink. The most selling design is our benchtop and floor standing model. The price is right and they look awesome. At the moment both models are ON SALE and will come with a free cup holder. Why wait and order a water cooler from Prestige Water today and start drinking great tasting water tomorrow. Brisbane: Mum, I'm thirty a 4 year old boy calls out to his mum! Without asking he walks up to the fridge and helps himself and drinks a can of soft drink. More and more kids are overweight. A serious problem. Drinking soft drinks is playing a big number with reference to overweight of kids. It's too easy to get your hands on soft drink. By owning a cold water machine with water filters you can teach children to drink more water instead of soft drink. It's better for their health and cheaper too. Children generally spoken drink not enough water. They need to drink 5 - 6 glasses each day to keep their body hydrated. Your body is losing water by going to the toilet, sweat and even by talking. All our models will have a self filling 7-stage filtration bottle. You simply remove the lid from the bottle, fill up a jug with your own tap water and poor this in the top compartment of the filtration bottle. All the water will be filtered and purified with our build in 7-stage filter cartridge. It will remove chemicals such as chlorine, heavy metals, organic sediments from the water and some very important minerals are added back to the water as well. Also your drinking water will be more alkaline so better for your health. From now on you can enjoy unlimited great tasting water free from your own tap. Never pay for your drinking water again and never run out. Filtered tap water does not contain any calories and is healthy to drink! Filtered tap water is up to 1000 x cheaper than bottled water. The price you pay for bottled water is not only water itself but 90% of the costing is transport, bottling, the plastic water bottles, marketing and profit. Filtered tap water is much more economic and basically for free. The quality of tap water is monitored by the government, the quality of bottled water is not. It makes sense that filtering your own tap water is better and cheaper that buying bottled water. We only supply water coolers that filter tap water or tank water. We choose consciously to offer no water coolers with spring water bottles because these are often unnecessarily expensive and constitute a heavy burdon on the environment. Most of the time the quality of filtered tap water is better. So, why not contacting Prestige Water Coolers Brisbane. The most common argument for choosing bottled water is the taste. We just do not like the taste of the chemicals you find in tap water. The problem is that tap water with chlorine and or residual products may contain bacterial degradation (to kill bacteria). This gives the water a taste that many people do not like. However, you do not need to switch to bottled water to get rid of the chlorine taste. A water cooler with a good water filter will remove the chlorine and other contaminants and is therefore much cheaper. It is doubtful whether even in taste advertisements does not meed the perception. There have been several tests which were blind tasted and where tap water had the best results. The illusion of "better water" has a high price to the environment. Each year tons of plastic is used to manufacture water bottles. The production of water bottles damages the environment seriously. There are heavy investments required in order to pump up spring water, to package and to transport it. It takes thousand years for plastic bottles to disintegrate. The bottled water industry is threatening our ecosystem worldwide. Big bottled water companies earn billions in selling water and thus threaten the entire ecosystem. They draw well water on some nearby streams, wells and bringing farms at risk. We as Prestige Water servicing the areas in Brisbane and Bellbowrie, Anstead, Pullenvale, Kenmore, Kenmore Hills, Indooroopilly, Taringa, Brookfield, Upper Brookfield, Mt Coot-tha, The Gap, Mount Nebo, Highvale, Wights Mountain, Camp Mountain, Upper Kedron, Ferny Grove, Keperra, Arana Hills, Everton Park, Samford Valley, Cedar Creek, Draper, Yugar, Closeburn, Mount Samson, Clear Mountain, Eatons Hill, Warner, Albany Creek, Strathpine, Bald Hills, Bracken Ridge, Deagon, Shorncliffe, Carseldine, Bridgeman Downs, Carseldine, Aspley, Zillmere, Boondall, Nudgee Beach, Nudgee, Banyo, Nundah, Kedron, Chermside, Everton Park, Pinkenba, Eagle Farm, Ascot, Bowen Hills, Fortitude Valley, Murarrie, Cannon Hill, Carina, Belmont, Carindale, MacKenzie, Eight Mile Plains, Sunnybank Hills, Sunny Bank, Algester, Calanvale, Springwood, Archerfield, Greenslopers, Annerley, Moorooka, Rocklea, Holland Park, Acacia Ridge. We deliver water coolers to Cleveland, Thorneside, Wellington Point, Birkdale, Alexandra Hills, Ormiston, Cleveland, Thornlands, Sheldon, Victoria Point, Redland Bay, Mount Cotton, Esk, Kingaham, Jimna, Monsildale, Avoca Vale, Sheep Station Creek, Linville, Moore, Mount Kilcoy, Sandy Creek, Colinon, Harlin, Gregors Creek, Yimbun, Braemore, Toogoolawah, Cressbrook, Hazeldean, Woolmar, Kilcay, Glenfern, Villeneuve, Somerset Dam, Mount Beppo, Ottaba, Biarra, Caboonbah, Mount Byron, Cressdale, Bryden, Dundas, Redbank Creek, Mount Hallen, Buaraba, Wivenhoe Hill, Coominya, Atkinsons Dam, Mount Tarampa, Clarendon, Tarampa, Lowood, Glamorgan Vale, Fernvale, Wivenhoe Pocket, England Creek, Banks Creek, Split Yard Creek, Gatton, Ballard, Murphys Creek, Upper Lockyer, Lockyer, Withcott, Poatman Ridge, Helidon Spa, Helidon, Iredale, Blanchview, Flagstone Creek, Upper Flagstone, Stockyard, Rockmount, Mount Whitestone, Ma Ma Creek, Upper Tenthill, Winwill, Lower Tenthill, Veradilla, Grantham, Placid Hills, Ropeley, Blenheim, Laidley Creek West, Laidley South, Laidley, Laidley Heights, Laidley North, Summerholm, Plainland, Hatton Vale, Kensington Grove, Regency Downs, Forest Hill, Lawes, Adare, Glenore Grove, Lockrose, Morton Vale, Spring Creek, Lockyer Waters, Churchable, Mulgowie, Mount Berryman, Rockside, Thornton, Lefthand Branch, Mount Sylvia, Fordsdale, Junction View, Black Duck Creek, East Haldon, Logan, Greenbank, Forestdale, Hillcrest, Boronia Heights, Regents Park, Browns Plains, Berrinba, Park Ridge, Crestmead, Marsden, Logan Reserve, Waterford West, Edens LAnding, Eagleby, Loganholme, Bethania, Tanah Merah, Shailer Park, Slacks Creek, Daisy Hill, Woodridge, Springwood, Priestdale, Beenleigh, Mount Warren Park, Windaroo, Bahrs Scrub, Waterford, Buccan, Wolffdene, Logan Village, Chambers Flat, Stockleigh, Munruben, Park Ridge South, New Beith, Lyons, North MacLean, South MacLean, Jimboomba, Cedar Grove, Woodhill, Veresdale, Cedar Vale, Veresdale Scrub, Mundoolun, Yarrabilba, Caboolture, Booroobin, Bellthorpe, Stony Creek, Neurum, Cedarton, Commissioners Flat, Stanmore, Woodford, D'Aguilar, White Patch, Banksia Beach, Bellara, Bongaree, Toorbul, Donnybrook, Meldale, Ningi, Sandstone Point, Godwin Beach, Beachmere, Mount Delaney, Delaneys Creek, Bracalba, Wamuran, Wamuran Basin, Mount Mee, Campbells Pocket, Rocksberg, Ocean View, Mount Pleasant, King Scrub, Moorina, Elimbah, Moodlu, Bellmere, Caboolture South, Morayfield, Upper Caboolture, Burpengary, Dayboro, Laceys Creek, Armstrong Creek, Samsonvale, Kobbie Creek, Mount Samson, Closeburn, Cedar Creek, Yugar, Draper, Samford, Valley, Highvale, Rush Creek, Narangba, Deception Bay, North Lakes, Griffin, Dakabin, Kurwongbah, Whiteside, Kallangur, Petrie, Murrumba Downs, Lawnton, Bray Park, Whiteside, Joyner, Cashmere, Warner, Strathpine, Brendale, Eatons Hill, Albany Creek, Bridgeman Downs, Bunya, Mount Nebo, Wights Mountain, Camp Mountain, Arana Hills. How much should a person drink? A person has to drink two to three liters a day. In a warm climat as here in Brisbane you would drink a little more. Water Coolers and Water Dispensers Brisbane. And with increased perspiration during exercise you have to drink even more. Many people then use energy drinks or isotonic drinks, which they usually have to pay dearly for. But spending money on it is not necessary at all because people can also quench their thirst with normal tap water. The tap water in Australia is subject to strict controls. Contaminated water is carefully and with the latest technology cleaned in treatment plants, bacteria are killed and the water has drinking water quality again when it comes out of the taps. That is why tap water is healthier than soft drinks and the like. Can you lose weight by drinking water. About 80 percent of our body consists of water. That is why it is so important that we add abundant water, and tap water is perfectly suited for this. Moreover, it is also the cheapest drink that you can find in Australia. The quality of the water is regularly checked by water companies and in the event of possible contamination, the population is immediately notified. Prestige Water Coolers Brisbane is adding some very important minerals back to the water. If you prefer to drink mineral water with a shot, you are not obliged to buy your bottled water in the supermarket. In the meantime, equipment is available with which you can add an effervescent effect to tap water. The difference between tap water and mineral water from the bottle is that the mineral water is much older and extracted deep from the ground. Because it has permeated many rock layers, it has been cleaned particularly well and has absorbed many mineral salts that are missing from normal tap water. Again and again you hear the question "Is tap water healthy?" And you can only answer with a full "yes". Tap water supplies your body with everything it needs. Additives are mixed in. If pure tap water still makes you dull, just add an extra splash of fruit juice and you have a healthy and delicious drink. Water, an essential nutrient. Drinking enough water is crucial for people. That is why tap watre in Australia is one of the foods that are best monitored and the most strictly controlled. That is why you can drink tap water in our regions without worry. Nevertheless, tap water does not taste the same in all areas and there are also slight differences in quality. Water from a Prestige Water Coolers Brisbane is slightly alkaline and contains also some very important minerals. Bottled water contains less minerals than tap water. Can tap water also make you sick? be careful when making ice cubes from unsafe tap water. In some places the limit values for drinking water are somewhat on the low side, which may lead to an accumulation of, for example, chlorine or lead. These substances also have an effect on taste, especially in drinks such as tea or coffee. 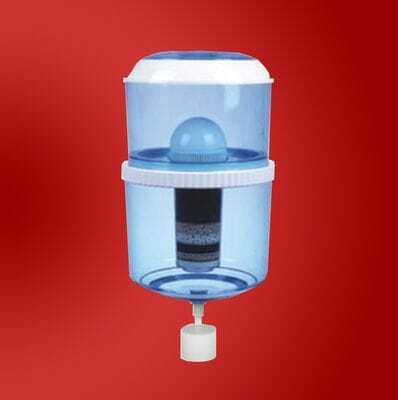 At such locations, the use of water filters for the purification of drinking water may be worth considering. Such water filters not only remove the liquid lime and other harmful substances, but also lead to a significant reduction in the amount of lead and chlorine. Clean water without harmful substances is not only important when it comes to drinking water, so when it comes to human health. It can also protect household appliances and pipes. Even for that reason, the use of water filters could be useful. Prevent muscle pain by drinking water.